We advise that cars are out of the car-parks by 10pm at the latest, to avoid being locked in. Please note, opening hours may change in accordance with certain events. Visit www.tfl.gov.uk to plan your journey in advance. Nearest train stations are Queenstown Road Train Station or Battersea Park Train Station. Both are approximately a 10-minute walk to Rosary Gate entrance. Nearest tube stations are Sloan Square, Victoria or Pimlico. All car parks are pay and display Monday to Sunday (including Bank Holidays). Please be aware that machines do not give change. 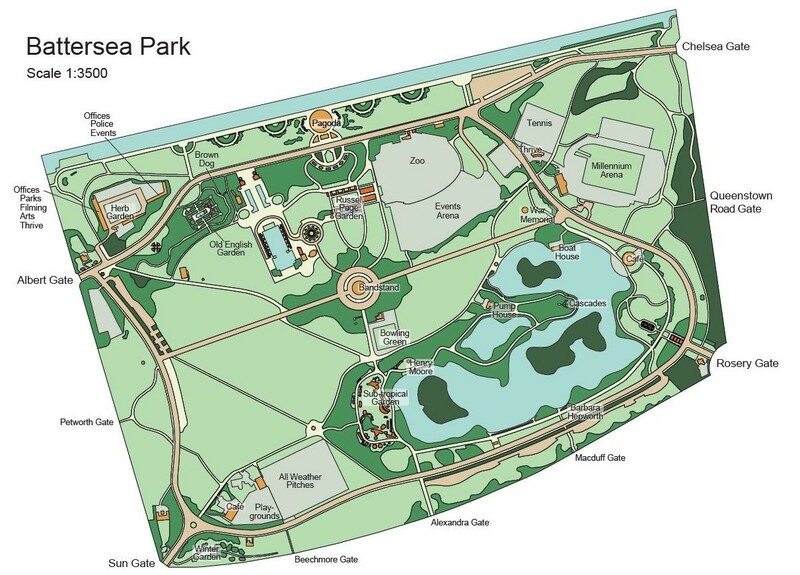 For further information on car parking in Battersea Park, please call Wandsworth Council on 0208 871 6000. A permit is required to park any coach in Battersea Park. To apply for a coach permit please contact the Parks Office on parks@enablelc.org or call 0203 959 0060. Please be aware times may vary and toilets may be temporary closed without notice.